So here we are, at the end. This project taught me I am terrible at writing sonnets. But, I do like to think that they became better with each one. 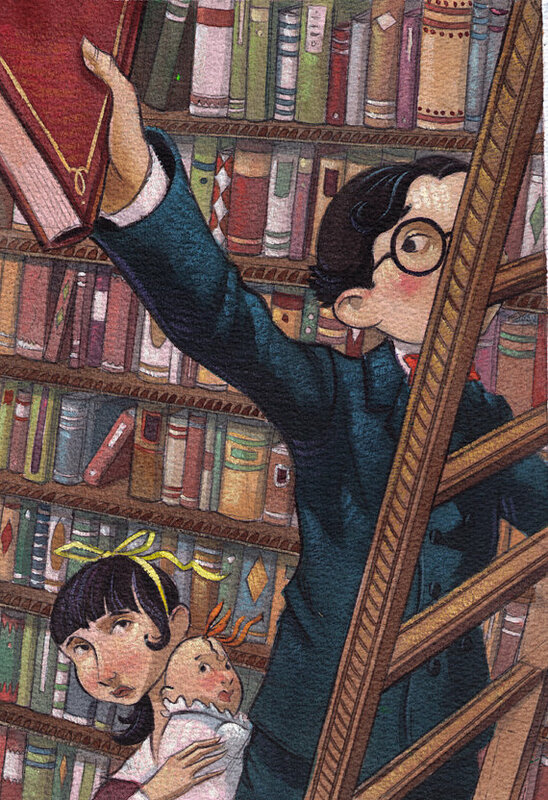 A Series of Unfortunate Events, I remember what it was like to first find and read these intriguing novels: When I was a kid (I was tiny), my siblings and I went to the book bus every Friday after school. The book bus (aka, the mobile library) visited our small town from two til’ four, although only the size of an average bus, had an amazing collection of titles, and was always very busy. We would walk across the road from school and settle into the cushions at the back of the bus, reading until Mum picked us up. We would then trudge through the door at home with our piles of books and collapse on the couch and read until dinner-time. The best way to spend a Friday afternoon. Anyway, I quickly realized that the best place to find all the best books at the book bus was the returns box, and I would often linger next to it, sorting through everything until I found a cover that caught my eye. And this is how I came upon Lemony Snicket’s A Series of Unfortunate Events. The books peaked my curiosity, and I quickly rushed through them one by one, until I had reached the tenth one, and had to wait for the last three to be written and published. Oh the agony of waiting. These books were mysterious, melancholy, moving, and manic (at times)! Nothing like I had ever read before! And now, upon my first true reread (I have not reread the entire series all in one go), I endeavour to write A Series of Unfortunate Sonnets: one sonnet written for each book. The sonnets will probably be rubbish (you could even say unfortunate), but nonetheless, it will be an experiment of my creativity. With thirteen chapters + a letter to the editor (explaining how to get the manuscript for each book), within thirteen books + follow up, a fourteen lined sonnet seems like the fitting form to adopt. Who realize too young that life’s just not fair. Now orphans, named for poet Baudelaire. Loves to cook and bite, for she’s rather small. By wedding hapless fourteen year old Vi. This small triumph will turn into fresh woe. Maybe you should forget this poem too. Find a sonnet that brings smiles, not frowns. Find something better (anything!) to do. Ones that cuddled, stunk, ones that were hairy! Gone the days of coconut cake and love. “There’s no end to this sorrow” muttered Klaus. A drink for the times Josephine was scared. And a drink for each grammar correction. But was heedless, despite their affection. And one for evil Count Olaf in disguise. More booze for each time there is a surprise. By page four I’d be drunk as a cricket. As child slaves, even Sunny, the baby. Maybe just put this book back on the shelves. With Olaf. But what’s their plan and their goal? He’s dressed as a lady! In beige and boots! Violet is to research, and Klaus to invent. Dr Orwell is hacked up like the trees. For children’s minds are not made of metal. Mr Squalor is nice, but not his spouse. Esme only cares that orphans are in. Is Olaf hiding down there in the dim? Climbing down the shaft is too ambitious. The Quagmires are locked in a small cage. To save them the Baudelaire’s are too late. It leads to their old home – why? is this fate? How could this adventure not end in tears? Named V.F.D. With rules that are not mild. There is no end to the Baudelaire’s woes. From the Quagmires, trapped somewhere in town. Causing the orphans to puzzle and frown. to the ever elusive initials. We are still asking: who is this Beatrice? Birthday tears from the child in the middle. Lost in a barren wasteland, dry and hot. Unanswered telegram, has Poe forgot? The lone Baudelaire’s are looking for clues. Risky decisions, lies, taking chances. What is noble? And is is good to lie? When one is only trying not to die? They thought they were good, now they’re not so sure. In the trunk of Olaf’s – what will they hear? A place famous for it’s stretches of sand. An ambidextrous, with low morale. And a psychic, who’s wholly dishonest. It ends with a suspicious alliance. Will the mountains hold one living parent? Was a close call, unless I’m mistaken. There is no time for them to catch their breath. is Quigley Quagmire, there is no doubt. Answers he has to assist with their task. A sad sight it is, it’s burnt to the ground. These headquarters are no longer safe. She eavesdrops and cooks, ignored as a waif. Where’s the last safe place and The Sugar Bowl? To find all the answers is now their goal. Searching for the Sugar Bowl, and it’s scheme. Each, an avocation and able wits. Phil is no fool with food. Widdershins too. Forsaken! Was is all a persona? Fear finds them, and something worse than the flu. With Kit, an equivocal chauffeur. Adds mystery to the Snicket story. Who are these siblings, and are they legit? They all have low hopes: Memento Mori. They will be ignored as a concierge. They find more questions than answers mostly. A trial, an end that is fiery. A tragedy that’s as sad as Macbeth. For the last safe place – it is safe no more. What did you expect? A resolution? As they buried their good friend and their foe. The book within the book is anointed. Dear reader: in your mind you’ll find the key.